Even small problems with the gutter can cause big problems for your Phoenix home! When you think about the weather in Phoenix, you might first think about the sweltering summers. Yet Phoenix is also privy to punishing thunderstorms during the monsoon season, and these storms can wreak havoc on a home. One thing that helps protect your home from thunderstorms and rain is a properly installed gutter system. Gutters are the thin strips of metal tubing that line the sections of your roof that are parallel to the ground. Water flows off the pitch of the roof into the gutters and is then diverted through the downspout running vertically along the wall of your home. The water flows away from the home and into the soil. The primary purpose of the gutter system is to prevent water from accumulating around the roof, the walls or the foundation of your home, where it can contribute to rot, cracks and mold growth. Problems occur when the gutter system breaks down, such as because of an accumulation of leaves and other debris causing blockages or because of a breakdown in the support structures, causing cracks or sagging sections. Even small problems with the gutter can cause big problems for your Phoenix home. One of the most common problems that gutters experience is a blockage from leaves and other debris. When this happens, water can pool inside the gutters instead of flowing into the downspout. That water can cause rotting in the fascia or along the edge of the roof, which can ultimately lead to leaks inside the home. You’ll have to call a Phoenix roofer to make the repairs, and you could be looking at replacing a significant part of your roofing. More damage can be caused if the water is pushed back up the roof or if the water freezes. In many cases, blockages will lead to water pooling up and falling over the side of the gutters. Leaks can also occur when the seams of the gutters pull apart or the supporting structures give way and the gutters fall out of alignment. The water that falls over the sides of the gutters or through the cracks can cause major problems for your walls and your foundation. The walls could become streaked with mold and mildew, which could spread inside your home and pose a health and safety hazard. Over time, the walls could rot. Water can also cause cracks in the foundation, which can require very extensive repairs. If you have a basement, the water can seep inside, creating a damp and moldy environment that is not safe for your family. Proper gutter maintenance is essential to prevent these health and safety issues, as well as to avoiding costly roofing and other repairs to your home. However, choosing the right types of gutters can also help you reduce these risks. Most gutters are sectional gutters, which means that they are hung in strips of 10 to 18 feet. The sections are joined together and sealed. So long as that joint remains solid, the gutters will work as they should. However, those joints can easily become damaged, and they are a common source of leaks. Seamless gutters resolve this problem. Seamless gutters are composed of one continuous piece of gutter that is custom fit on site. The only joints in a seamless gutter system are on the inside and outside corners. Since seamless gutters have no joints, they do not leak. They offer continuous protection as long as they are regularly cleaned. 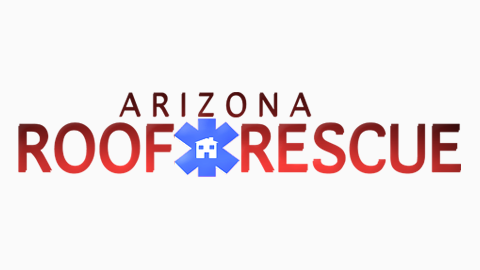 If you have experienced roofing damaged as a result of faulty gutters, Arizona Roof Rescue is here to help. 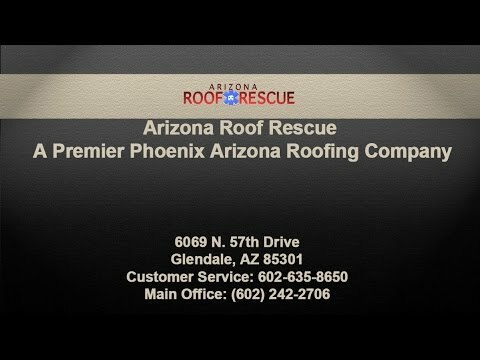 An experienced roofer from our team will come to your Phoenix home to inspect the damage and provide a free estimate for PHX roof repairs. When you are ready to get new roofing, that’s a great time to get new gutters, as well. We can offer you advice about a roofing and gutter system that will work together to provide your home the most protection. Call us today to get your roof back in top shape after it has been damaged by faulty gutters or to talk about new roofing with a new gutter system.